In 2009, we went on a journey to revolutionize the way we as wildlife photographers capture the magic we constantly strive for in our photography. 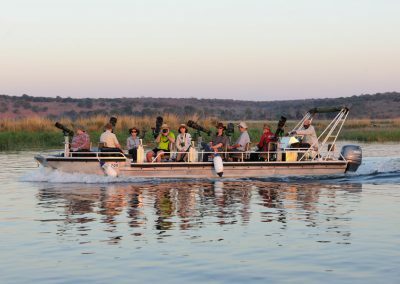 Our first venture, Botswana, Chobe National park. As regular visitors, we knew that the photographic opportunities were far superior from water instead of land for the destination. No more stress with additional luggage costs on international airlines. No more stress and cost with severe luggage weight restrictions on charter flights in East Africa. Save the cost of lens rental if you do not own a super telephoto lens. Have a 180 degree view facing your subject with nobody in front of you ever! Flat bottomed photography boats – Smooth sailing and very maneuverable even in shallow water. This eliminated the need for a second Bass fishing motor to position into tight spots. 360° swiveling chairs allow for repositioning yourself within seconds as well as follow your subject without repositioning the vehicle. Each chair has a telescopic camera support system fitted with a Wimberley gimbal head that moves effortlessly and even allows for standing up should the need arise. No roof – By our estimate, up to 70% of images of birds in flight would have been lost due to the obstruction. Removable canopies are available should Africa spoil us with a shower while on the river. 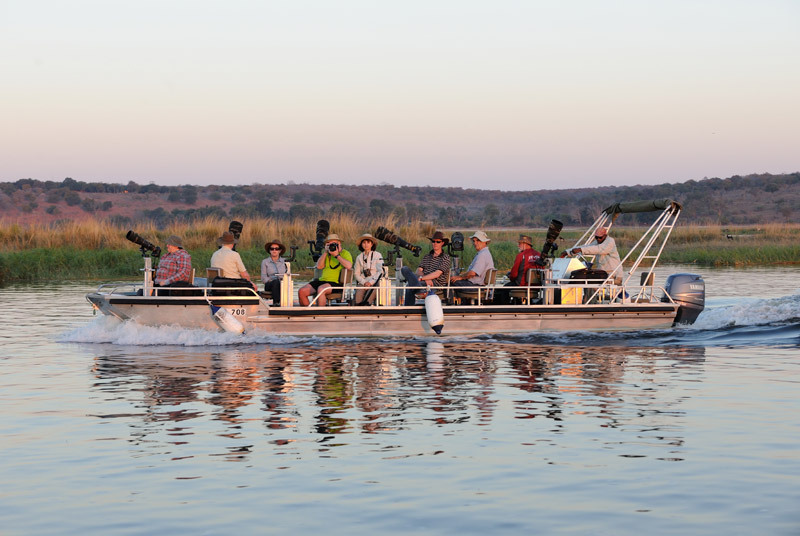 The boat was an immediate success, and after some fine-tuning, in 2010, we launched a second boat onto the Chobe River to accommodate this new wealth of opportunities photographers strive for. An eye-level perspective to land and water based animals and birds not achievable from land. Quick and easy maneuverability to take advantage of light conditions and wildlife movement. We were simply able to capture wildlife images that we only dreamt of previously and it’s no wonder that so many international awards have been garnered by our guides and clients alike. 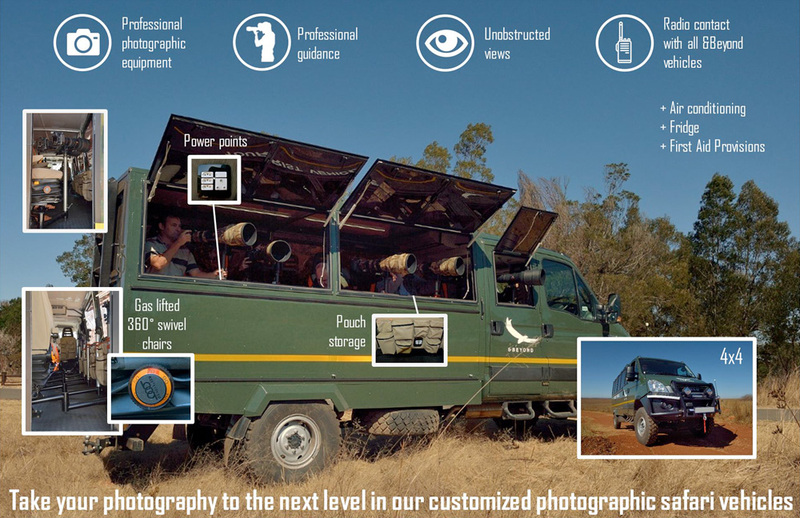 CNP Safaris offers, without a doubt, the most advanced, most comfortable African photo safari experience available. 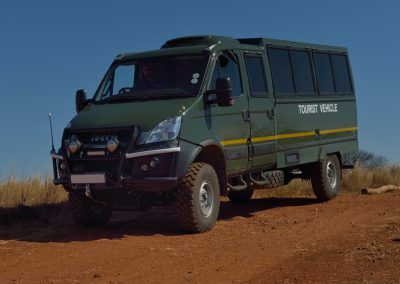 At present, we operate 5 of these fully equipped safari vehicles across the African continent in various configurations depending on the number of guests and the destination. With the success of our photography boats, clients soon asked for more of the same. This meant back to the drawing board before we hit the dirt roads of Africa. We applied the same principles when in comes to seating, but the roads can be rigorous in Africa, so some upgrades were needed. 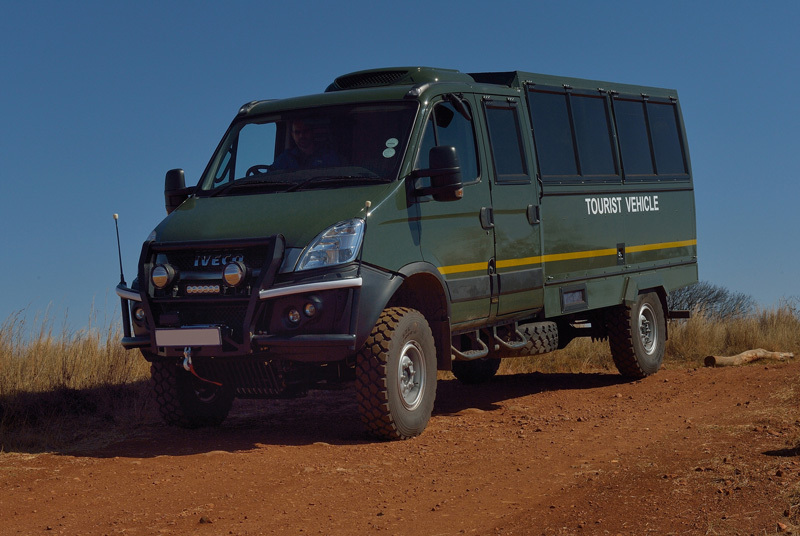 Safari vehicles can be closed completely to keep out dust and water when we are merely traveling within the park. Air-conditioning is naturally an added luxury to keep you cool during the scorching summers. Power outlets for each photographer to keep all those batteries and laptops charged, especially helpful in the Masai Mara during the Wildebeest migration where staying out the whole day happens regularly. And yes, we also have a fridge installed to keep your snacks and drinks cool during those long hot days. All of our custom built photographic vehicles are available for private rental. Contact us for more information.